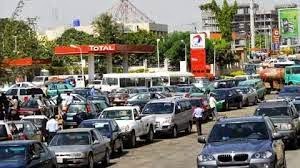 As major petroleum marketers deploy 495 truckloads of petrol, with a minimum capacity of 33,000 litres, to Lagos and Abuja, the federal government has re-assured Nigerians that the scarcity of the commodity witnessed across the country will ease off by this weekend. Similarly, all stakeholders, including Major Oil Marketers Association of Nigeria (MOMAN), Central Bank of Nigeria (CBN), Depot and Petroleum Products Marketing Association of Nigeria (DAPPMAN), Petroleum Products Pricing Regulatory Agency (PPPRA), Nigerian National Petroleum Corporation (NNPC) and Pipelines Products Marketing Company (PPMC), among others, stated yesterday that the scarcity of the product will end in a few days. The Coordinating Minister for the Economy and Minister of FINANCE, Dr. Ngozi Okonjo-Iweala, who briefed journalists in Abuja yesterday after a meeting with the central bank, PPPRA, oil marketers and depot owners, said the federal government had addressed all contentious issues with the marketers, including the issue of foreign EXCHANGE RATEdifferentials, promising the fuel shortage would ease off latest by Saturday. The federal government, she said, had accepted to pay the N30 billion exchange rate differentials owed the marketers over the last couple of months and was on the verge defraying the N185 billion debt owed them with the issuance of Sovereign Debt Notes (SDNs). The minister, who reaffirmed that the federal government has been dialoguing with the marketers within the last ten days, said President Goodluck Jonathan wanted Nigerians to know that efforts were being vigorously put in place to resolve the issue in the shortest possible time. Okonjo-Iweala enjoined the marketers to be patriotic in their dealings with the government as the issue affects everyone, and commended Nigerians for their patience. While assuring that the crisis will be over in the next few days, the minister said the “long queues will dissipate, the situation will be addressed and everything will return to normal”. “At the Federal Executive Council meeting today (Wednesday), the issue was discussed in terms of pushing forward and making sure things get back to normal,” she added. The CBN Governor, Mr. Godwin Emefiele, who also spoke at the briefing, said the central bank had met with banks and oil marketers to resolve all the contentious issues associated with credit facilities, adding that in the last one week, over $500 million Letters of Credit (LCs) had been opened by banks on behalf of the marketers. Emefiele requested any marketer who was experiencing delays in their LCs to alert the CBN, and promised to respond promptly to ensure that the issue is resolved amicably. 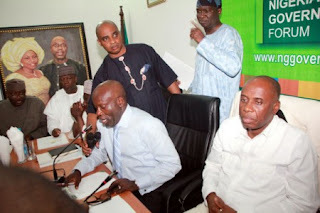 Speaking on behalf of the oil marketers, the Executive Secretary of MOMAN, Mr. Obafemi Olawore, assured that the queues will ease off in the next few days, as the marketers had already moved 495 truckloads of fuel to Lagos, Abuja and their environs. The massive movement of fuel-conveying trucks, he said, has been ongoing for the last three days, while three of its members had imported three cargoes of petrol following agreements with the CBN and the finance ministry. “On Monday, major marketers moved 132 truckloads of fuel to Lagos, while 87 truckloads were moved to Abuja, and this is exclusive of the quantity moved by NNPC and independent marketers. “On Tuesday, 137 trucks were moved to Lagos, while 139 trucks were moved to Abuja. You can see that the amount we moved to Abuja was far more than the quantity we moved on Monday. “It normally takes between three and four days to transport the fuel from Lagos to Abuja; hence we believe the queues will ease off by weekend, latest. “Our actions are deliberate to ensure that the queues vanish and normalcy returns. 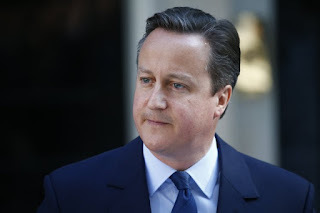 I want to tell Nigerians that tougher days are over, normalcy is expected to return pretty soon, ” he said. In the same vein, the Executive Secretary of PPPRA, Mr. Farouk Ahmed, said the agency had issued licences to eight companies to import petrol in the month of March, even as NNPC and the Pipelines Products Marketing Company (PPMC) will be importing over one billion litres of the product in the same month. Ahmed said with the over 500 million litres of fuel in NNPC depots offshore Lagos and other depots nationwide, the country has a total national sufficiency of 33 days. “What this means is that if there is no additional importation in Nigeria in the next couple of days, we still have STOCK for the next 33 days. Hence, there is no need for concern and panic buying. We are not only concentrating on Lagos alone, but also in other urban and rural areas,” he said. Also lending its voice to efforts to end the scarcity, DAPPMAN stated that “the supply gap currently witnessed across the country will soon become a thing of the past. Our members are currently meeting with banks to open LCs, once approved, cargoes of fuel will be imported”.